Antique Show & Flea Market. 4-H Fairgrounds. Route 30. Hours 8am-4pm. Admission charge $1. Ample parking. Approximately 80 dealers. Market consists of antiques, collectibles, primitives, jewelry, furniture & crafts with some new merchandise. Excellent market. Snack bar, restrooms, h/a. Space from $35. Camping available. This market conducts many special events, call for schedule. c/p Bill Edwards, (815) 626-7601. Belleville Flea Market. St. Clair Fairgrounds. 200 South Belt East, 62220. Ample parking. Inside & outside spaces. Excellent market. One of the country's better antique markets. For the collector or person interested in quality antiques this will be an all day stop you won't want to miss. New merchandise, sportswear, electronics, jewelry, both fine, estate & costume. Space from $30 for the weekend per table. Food available, restrooms, h/a. Third Sunday Market. Interstate Center. I-55, exit 160B. Hours 8am to 4pm. Adm $5.00, ample free parking. Large indoor/outdoor quality oriented antique market. Approx 450 dealers. Lots of great booths here with some real quality spreads. Very professional dealers. Space from $75. outside. c/p market, Box 396, 61702. (309) 452-7926 or (217)202-2847. Don's Flea Market. Junction of Route 161 and I-57. Hours: 9am to 5pm. Free adm & ample parking. Indoor/outdoor market.. C/p Don Mercer, (618) 533-2778. Ashland Avenue Swap-O-Rama. 4100 S. Ashland Ave. One mile West of I-94. Near the new White Sox Ballpark. Hours: 7am to 4pm. Adm charge, ample parking. Large new indoor/outdoor market with approx 500 dealers. Wide selection of new and used merchandise, electronics, clothing, jewelry, furniture. Space from $18. inside and $18. outside. Restrooms, snack bars, restaurants, h/a. c/p Jim Pierski, 4600 W. Lake St. Melrose Park, IL 60160. (708) 344-7300 or (773) 376-6993. Maxwell Street Market. Canal Street between Taylor and 15th Street's. Hours 7am to 3pm. Free adm & $3. parking charge. Outdoor market with wide variety, lots of flea market and garage sale items, some new merchandise and collectibles. Very interesting and colorful market with lots of different ethnic vendors and ethnic food. Approx 400 dealers. Space from $15. Restrooms, food available. c/p Manager. 548 W. Roosevelt Rd, 60607. (312) 922-3100. The Buyers Market. 4545 W. Division Street. Hours 7am-4pm. Admission charge. Ample parking. Average attendance 8-10,000. Approximately 300 sellers. Indoor market, lots of new merchandise, some collectibles and used items. Nice market. This is one of the area's most popular markets because of the great deals available on new merchandise, especially for hot, new, trendy items. Snack bars, restrooms, h/a. Space from $12. c/p Lenny Kraut, 4545 W. Division St., 60651. (773) 227-1889. Or 342-4546. Regency Flea Market. 4001 W. Grand Avenue. Hours 9am-5pm. Average attendance 3,000. Approximately 125 sellers. New merchandise, sportswear, tools, electronics, jewelry, outdoor items, toys. Used merchandise, crafts, collectibles, produce. Food available, restrooms, h/a. c/p Andre, 4001 W. Grand Ave., 60659. (312) 772-6685. "Giant Flea Market". Fairgrounds. Hours 8:30-4:30pm. Admission charge. Ample parking. Approximately 100 dealers. Antiques, collectibles, primitives, country, glassware, jewelry, silver. New and used merchandise, crafts. Snack bar, h/a. Space from $12. per table. c/p John Crouch, Box 9500. Springfield, IL 62791. (217) 529-6939. Fairmont City Flea Market. Junction of Route 40 & 111. Indoor/outdoor market with approx 50 dealers. (618) 271-9885. Flea Market. 310 W. Butterfield Road. American Legion Hall. Ample parking. Market is primarily antiques & collectibles. Glassware, vintage clothing, coins, silver, jewelry, linens, advertising items, primitives. Some quality secondhand merchandise. Food available, restrooms, h/a. (312) 393-1795. World Bazaar Giant Indoor/Outdoor Flea Market. 500 E. North Avenue. one mile west of I-355. 60139. Admission charge. Ample parking. Lots of new merchandise, some used merchandise and collectibles. Great market for the thrifty shopper looking for new merchandise, both personal and household. Food available, restrooms, h/a. (630) 858-6410. Riverside Flea Market. 400 Front Street. Market is located in a historic boatworks building right on the banks of the Mississippi river. Antiques, collectibles, uniques, new merchandise. Great selection of quality collectibles here. This is a very cutsey and fun market located in an interesting little river town. Great riverside restaurant and bar here. Ample parking, restrooms, h/a although parking and walking to the building can be difficult. My experience with this promoter is not something that I would write home about. c/p Trudi Allen, Box 705, Alton, IL 62002. (618) 462-8210. Swap-O-Rama Flea Market. Ridge Road Drive In. Ample parking. New and used merchandise. 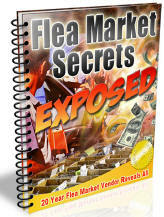 Flea market fare, from bric-a-brac, crafts, and collectibles, to produce. Restrooms, food available. h/a. (312) 774-3900. Highland Flea Market. Linden Dale Park. Indoor market held during the fall and winter. Antiques, collectibles, lots of glassware. New and used merchandise, garage sale items, bric-a-brac, crafts, produce. Food available, restrooms, ample parking, h/a. (618) 654-3573. Outdoor/Indoor Flea Market. Millbrook Township Center, Route 78. Hours: 7am to 4pm. Note: Seasonal market April through November. Approx 50 dealers. Snackbar, restrooms, h/a. c/p Karen megan, (309) 446-3619. Antique Flea Market. 900 S. Le Grange Road. American Legion Hall. Ample parking. Antiques (smalls), collectibles, primitives, glassware, silver, coins, linens, vintage clothing. Food available, restrooms, h/a. Melrose Park Swap-O-Rama. 4600 W. Lake Street. Lake Street at Mannheim Road. Year round from 7am-4pm. Adm charge 50 cents. Ample parking. Average attendance 6,000. Approximately 300 dealers. New merchandise, sports related items, sportswear, new collectibles, electronics, crafts some used and garage sale merchandise. Snack bar, restrooms, h/a. Space from $17. to $19. inside, $11 outside. Reservations required. Electricity available. No overnite camping. Good market for commercial vendors and an excellent market to shop for those looking for bargain prices on new merchandise. c/p Jim Pierski, 4600 W. Lake St., 60160. (708) 344-7300 or 681-4335. County Line Swap O Rama. Rte 50 to Cicero Avenue at Steger Road. Average attendance 2,500. Approximately 130 dealers. New merchandise, electronics, tools, housewares, sports items, outdoor wares, and sportswear. Also, used merchandise, garage sale items, crafts, collectibles, and produce. Food available, restrooms, h/a. Outside space only. April to November. Space from $5 to $8. Electricity available. No overnite camping. c/p Jim Pierski, 4600 W. Lake St., Melrose Park, 60160. (708) 344-7300. Flea Market & Crafts Show. Collectibles, farm items, religious items, used merchandise. Approximately 30 dealers. Snack bar. Market is located in very historical city with lots of interesting shops and sightseeing opportunities. Inside and outside space available. Space from $5. (319) 524-7611. "Giant Flea Market". Fairgrounds, Expo Gardens. Hours 8:30am-4:30pm. Admission charge. Ample parking. Approximately 100 sellers. Indoor market. New merchandise, tools, collectibles, used goods, crafts, art, and more. Snack bar, restrooms, h/a. Space from $13. per table. c/p John Crouch, Box 9500. Springfield, IL 62791. (217) 529-6939. Antique Show & Flea Market. Will County Fairgrounds. 1 mile East of I-57. Admission charge $2. Approximately 60-70 dealers. Wide variety of antiques and collectibles. Space from $25. Space for 700 sellers. c/p Robert Mitchell, Jr. 223 E. Main. Amboy, IL 61310. (815) 857-2253 or 284-9216. Country Boy Flea Market. 193 Milwaukee Avenue. Ample parking. New and used merchandise, lots of garage sale and bric-a-brac items. Crafts, collectibles, produce. Snack bar, restrooms, h/a. (847) 541-1952. Sandy Hollow Indoor/Outdoor Antique & Collector Flea Market. 3913 Sandy Hollow Road. Route 20, Exit Alpine Street. Hours 8am-5pm. Ample parking. Approximately 200 outside spaces & 50 inside spaces. Good selection of collectibles, small antiques, primitives, country, advertising items, paper goods, coins, silver, glassware. New merchandise, crafts and used merchandise. Free admission, snack bar, restrooms, h/a. Space from $25. for the weekend. Reservations required. c/p Carol Fritsch, 6350 Canyon Wood Drive. 61109. (815) 397-6683 or 874-6020. Rockford Flea Market. Forest Hills Lodge. Route 173. Ample parking. Outdoor market w/admission charge. New and used merchandise, garage sale items, crafts, collectibles, produce. Food available, restrooms, h/a. c/p Paul Arduini, (815) 633-5328. Wolff's Flea Market. Rosemont Horizon parking lot. I-90 West to Lee Street exit, near intersection of I-90 and I-294. Hours: 7am to 3pm. Ample parking adm charge of $1. .50 cents children 6-12 and seniors. Outdoor market with approx 450 dealers. Antiques, collectibles, crafts, used and new merchandise, furniture. Space from $23. Restrooms, Snack bars, h/a. c/p David Wolff, 970 Arkansas. Elk Grove, IL 60007. (847) 524-9590 or (630) 833-7469 on market day. Note: This is a spring and summer market only. Sandwich Antiques Market. Fairgrounds. State Route 34. Hours 8am-4pm. Admission charge $5. Ample parking. Approximately 500 exhibitors. Quality antique market, lots of furniture. 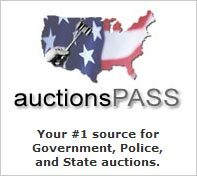 Excellent market for antique dealers and serious collectors. Great selection of collectibles, glassware, silver and fine jewelry. This is a great source market for the serious collector, shopkeeper or decorator. Snack bar, restrooms, h/a. c/p Robert Lawler, 1510 N. Hoyne. Chicago, IL 60622. (773) 227-4464 or (815) 786-3337. Fax: (773) 227-6322. The Olde Hotel Flea Market & Auction. A typical flea market in every sense. Even a bride-to-be could find what she needed at this market: something old, something new, something blue, and much more. Market also runs and auction service. (618) 295-2440. Kane County Flea Market. Kane County Fairgrounds. Randall Road. Between Route 64 and Rt 38. Hours: Saturday 12pm-5pm, Sunday 7am-4pm. Admission charge $5. Ample parking. Approximately 1000 dealers. Market is strong on quality antiques (both furniture & smalls) & great selection of collectibles, lots of fine jewelry & quality "junque". Excellent attendance. There are some real quality dealers that set up at this market. Good market for antique dealers, serious collectors, investors & decorators to make some great buys. Good home cooked meals served, restrooms, h/a. Inside and outside space available. Space from $125, indoors and $115. outside. c/p Helen Robinson, Box 549. 60174. (630) 377-2252. I-80 Collectibles & Flea Market. 191 and Oak Park Ave. 60477. Market opens at 6am and runs until noon. Ample parking. New and used merchandise, crafts, collectibles, antiques, produce. Food available, restrooms. h/a. Indoor & outside space available. c/p Ralph Bruno, (708) 532-8238. Flea Market, Antiques & Crafts. Fairgrounds. Ample parking. Antiques, collectibles, glassware, primitives, quilts, vintage clothing, jewelry, watches. Good selection of locally made crafts. Food available, restrooms, h/a. (608) 759-3493. Waukegan Swap 'N Shop Flea Market. Belvedere Mall. Route. 120 and Lewis Avenue. Hours 9am-6pm. Large indoor market. New & used merchandise, housewares, tools, sports items, sportswear, electronics, outdoor items, collectibles, jewelry. Snack bar, restrooms, h/a. c/p Larry Lemer, (847) 263-0160. "All Night Flea Market". 2015 Manchester Road. I-88 west to Naperville Road. North to Route 38, West to County Farm Road, North to Manchester. Hours: 5pm to 9am. The weekend of August 25-26, 2001. Always the weekend of the 3rd Sunday in August. The original overnight flea market. Hundreds of dealers, both old and new merchandise. Space from $90. Restrooms, lots of food, h/a. "Come for dinner, shop until breakfast." c/p Faith Sugarman, Box 32, Itasca, IL 60143. (847) 455-6090.